Hero Xpulse 200 and Xpulse 200T are set to launch in early 2019. 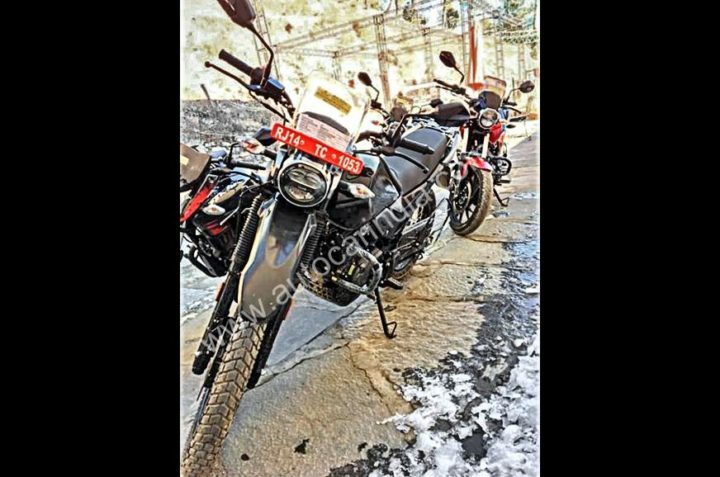 Ahead of the launch, here are the first spy pics of both the bikes testing in India. Xpulse 200 is a dual-purpose bike and 200T is a touring motorcycle. Hero Motocorp unveiled the Xpulse 200T at the EICMA in Italy, which is India-bound. The two-wheeler maker has confirmed that it will launch 200T with Xpulse 200 in early months of 2019. 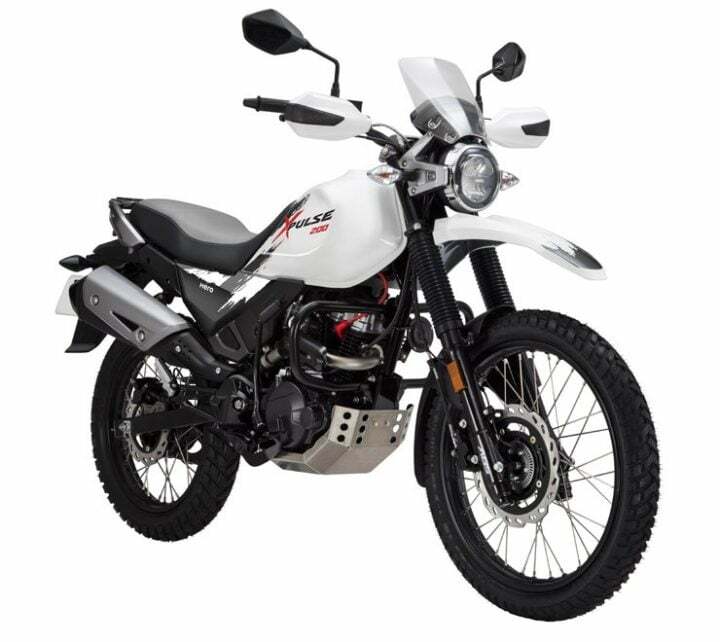 Hero Xpulse 200 is a dual-purpose adventure motorcycle, whereas Xpulse 200T is a touring motorcycle. Both are based on the same platform but are meant for completely different purposes. 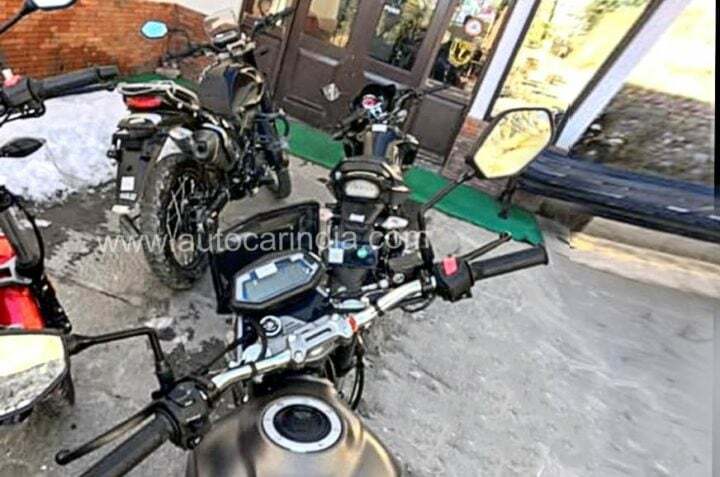 So, here are the first set of spy pics of both the bikes, spotted testing in India. Based on the number plates, we can say that both the bikes are being developed at Hero’s R&D facility in Rajasthan. 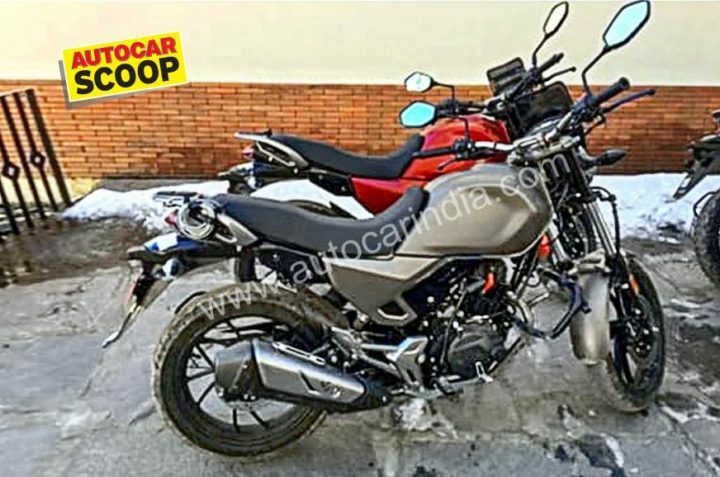 The test mule of Xpulse 200T looks identical to the one showcased at EICMA. It gets Xtreme 200R’s MRF Nylogrip Zapper at the front and MRF REVZ at the rear. We can also see the sculpted fuel tank, extended grab rail at the rear and the smoked windscreen up front. Xpulse 200T has been spotted in Matte Black and red colour. 200T gets reduced seat height of 30mm when compared to Xpulse 200. This means that the seat height would be a bit lower too. Hero Xpulse 200 also remains identical to the one showcased at Auto Expo. It receives the upright stance, increased height, single seat, spoke wheels and the high set exhaust muffler. Xpulse 200 also gets digital instrument cluster with Bluetooth connection, navigation and other information like riding range and average fuel economy. Other features would include LED headlamps, knuckle guards, dual-purpose tires, engine kill switch and dual-channel ABS setup. For suspension purposes, the ADV bike uses Long Travel Telescopic forks suspension in the front and 10-step adjustable gas-charged mono-shock absorbers at the rear. Xpulse 200 uses a 21-inch tire in the front and 19-inch tire at the back. The touring motorcycle gets smaller 17-inch tires. Both the bikes will use a 199.6cc air-cooled engine that produces 18.4 BHP and 17.1 Nm of peak torque. The engine pairs up with a 6-speed gearbox with slipper clutch. The same engine is used in Xtreme 200R as well. Along with Xpulse 200T, Hero showcased 4 more concept bikes at EICMA 2018. The list included a Scrambler, a cafe racer, a desert bike and a Flat Track bike. However, all the bikes would not go into production. Whichever concept receives the highest vote will be produced.